What role does serotonin play in our bodies, and what are some natural ways to increase this neurotransmitter? Thanks! What do health issues like depression, autism, Alzheimer’s, eating disorders, chronic fatigue and other immune-related disorders have in common? They all have imbalances of Serotonin. Serotonin has a calming effect on your mind (the brain in your head) AND your body (your gut brain or the enteric nervous system lining your digestive tract). When looking at the affects of serotonin, you become aware that there truly is a mind-body connection. Serotonin is considered a monoamine neurotransmitter, which means it is made by one amino acid. Amino acids are the building blocks of protein. There are two other monoamine neurotransmitters: dopamine and norepinepherine. In order to produce serotonin, your body needs the amino acid tryptophan, which is an essential amino acid. Essential amino acids are not made by your body, so you must get them from your food. To produce adequate amounts of serotonin it is vital that you have plenty of tryptophan, however, increasing your tryptophan levels is not as easy as just eating more foods high in tryptophan. Tryptophan constantly vies with other amino acids like tyrosine, methionine, histidine, and leucine to cross the blood brain barrier and tryptophan loses the daily battle. Eating a high protein diet increases the blood levels of these other amino acids and results in an actual decrease in tryptophan… and therefore less serotonin. One study showed that it is this dietary connection that may explain why some people get angry, aggressive or combative when hungry. What DOES go through your blood-brain-barrier is the tryptophan. While foods do not directly produce serotonin, there are a wide range of protein-rich foods that are excellent sources of tryptophan with turkey being the most well known. Dairy (like milk kefir), cheese, eggs, chicken, fish and red meat, nuts and seeds and brown rice are rich in tryptophan and therefore, contribute to the production of serotonin. Even some fruits and vegetables can contain tryptophan. Of course just eating them is not enough. You also must digest these foods. This course of action may seem to work in the short term but as every Body Ecology Dieter knows… a high carbohydrate, low protein diet is the fastest way to an unhealthy, unhappier life and a rapid increase in their fungal and viral infections, acidic blood, earlier aging and misery. I will address this issue and discuss some ways you can boost serotonin with a food and lifestyle program in part 2 of this column. Another important contributor in the biochemical production of serotonin is vitamin B6. A deficiency in vitamin B6 could impair your brain’s ability to manufacture serotonin. Vitamin B6 is a water soluble vitamin that the human body cannot make. So again, this is an important vitamin to get from your food. The good news is that beneficial microflora found in fermented foods and liquids also manufacture B Vitamins right down inside your intestinal wall where they are readily assimilated. Serotonin is related to a number of disorders, like depression, autism, Alzheimer’s, Obsessive Compulsive Disorder, eating disorders, alcoholism and bipolar disorder. Each of these disorders has in common a disruption in the serotonin transporter (SERT), which shuttles serotonin from one part of the brain to another. I believe there are ways to boost serotonin naturally, without the long-term use of drugs that have side-effects. In part 2 of this column, I will outline an 11-step process to boost serotonin naturally. Please keep in mind that I am not recommending you throw out your prescription or your doctor’s advice! I recommend you educate yourself on these principles and work with a qualified health professional to guide you to the best solution for YOU. Serotonin certainly seems like the key to happiness…and yet it’s important to realize that you do not need a degree in biochemistry to heal your body and your emotions. I share this information to educate you on the “biochemical nature” of your body, but as you may have noticed, it is highly related to the foods you eat and the lifestyle you lead. Often it only takes simple changes in each to empower you to create much better health in your mind, your physical body and even your spirit. For more information, read my book, The Body Ecology Diet. I wrote this book to help you strengthen your body and create a happier, healthier life as you learn how to harmonize with the principles of Nature. Little did I know at the time how much emotional healing would happen as well. Now science shows us why… and that’s where I’ll pick up in part 2 of this column! 1 Bouchez, Collette. Reviewed by Nazario, Brunilda, MD. Serotonin: 9 Questions and Answers. WebMD. 3Our Second Brain: The Stomach. Psychology Today. 5Sahelian, Ray, M.D. Serotonin : Is there a serotonin supplement? 6Bouchez, Collette, 5-Hydroxytryptophan: The Serotonin Solution. Vitamin B6. Linus Pauling Institute at Oregon State University. 8Multiple Mutations May Explain Autism. NeuroPsychiatry Today Reviews. October 2005. Wurtman, Judith J., PhD, and Marquis, Nina Frusztajer, MD. The Serotonin Power Diet. 9Cuccaro, M.L., Wright, H.H., Abramson, R.K., Marstellar, F.A., Valentine, J. Whole-blood serotonin and cognitive functioning in autistic individuals and their first-degree relatives. The Journal of Neuropsychiatry and Clinical Neurosciences. 1993; 5: 94-101. Vitamin B6. The World’s Healthiest Foods. 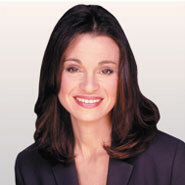 was written after years of research to find a cure for her own candida-related health problems. Frustrated with conventional medicine, she embarked on a long course of study into many different healing concepts, including ancient Chinese medicine, macrobiotics, natural hygiene, raw foods and mega-supplement therapy. Incorporating the most beneficial components of each concept into her own system of health and healing, her success inspired her to share it with others. Much more than a "diet" Body Ecology offers a constantly expanding body of knowledge that focuses on the benefits of establishing and maintaining an inner ecosystem. Eating fermented foods and following the BED principles lays down a foundation for health that is essential to wellness. 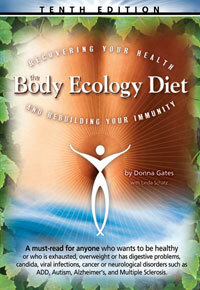 Body Ecology and Donna are frequently mentioned in the books of many other authors and in natural health magazines. She does radio shows and workshops to educate the public and is well-regarded for introducing Americans to new concepts and insights for using medicinal foods. She pioneered "young coconut kefir", a healthful, nutrient-rich drink. Donna's latest focus is on resolving the crisis of our children's health, and she is committed to preventing and overcoming autism. The "Body Ecology Diet" book has evolved into a complete system for rebuilding immunity. Donna has recently been on a national tour promoting The "Body Ecology Diet" book, which has sold over 120,000 copies and is now in its seventh edition. While touring, Donna launched her new line of Body Ecology Products. The success of Donna's tour and the BED method is causing a demand we cannot meet. More qualified professionals and individuals are needed to carry Body Ecology's vital message. This is a great opportunity for everyone who is interested in optimum health or is serving in the health field. Find out more about Body Ecologist training. Please note: In this column, Planet Thrive presents answers taken from previously published works of Donna Gates that relate directly to the question being posed. This content is not intended to replace conventional western medical treatment. Any suggestions made are not intended to diagnose, treat, cure or prevent any disease, condition or symptom. Please consult a qualified practitioner for a health care plan tailored to your individual needs. All material in this column is provided for general information purposes only and should not be considered medical advice or consultation. Always check with your personal physician when you have a question pertaining to your health and healthcare. Content copyrighted by Donna Gates and may appear on her website and in other published works. For permission to reuse this material, please e-mail Donna directly through her website.